The Quality Control Department at Tomoegawa USA is involved in all elements affecting quality from the beginning of the manufacturing process to the finished product. Our staff has an average of 10 years of service and their expertise is evident. We begin by inspecting raw chemicals, packaging materials, and toner bottles/cartridges when they arrive at our facility. Our Packaging Engineer is involved in the design and fabrication process for new cartridges, as well as component changes to insure consistent fit and function. 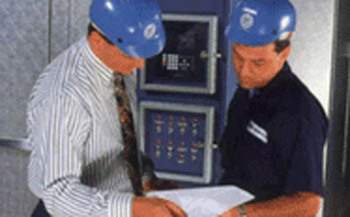 The QC Manufacturing Inspectors are responsible for monitoring the continuous production process and work in tandem with Manufacturing Operators to fine-tune production. Quality Assurance Technicians are experts in copy machine set-ups and maintenance, to facilitate testing the finished toner under actual use conditions. Before a product can be filled, they run many thousands of test copies from each lot. Finally, working as a team with the Filling Operations Department, QC Filling Inspectors and Packaging Technicians assure that everything is perfect from specific filling weights to the customer required printing on the packing cartons. TUI's Marketing and Customer Relations Departments are responsible for marketing all Tomoegawa products within North and South America. We will be happy to assist you in providing technical information on our products, pricing and availability, shipment and export information, and any additional information about our company or products. The primary goal of the Purchasing Department at TUI is to serve our customers and support our company policy for Speed, Service and Synergy. We are committed to locating and acquiring quality suppliers that will support the diverse and specialized needs of our customers, both internal and external. The suppliers we search for are those that can meet our high quality standards and our requirement for on-time delivery, customer service, and competitive pricing. Our Distribution Department regularly ships orders of any size domestically and internationally using quality carriers to meet our customer delivery dates. We have customized documents and procedures that meet the ever changing needs of the market. Our racked facility is up to date with using barcode technology to receive and store materials with the utmost accuracy. Use our interactive map located on our contact page for directions to our facility or call the number listed for automated directions. 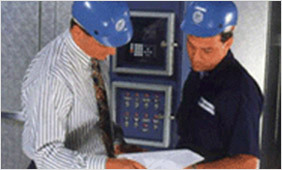 The safety of our team, product quality, and customer satisfaction are our highest priorities. Human Resources is committed to satisfying its internal customers by providing resources that complement the strength of TUI's "people power," including recruiting, training and development, and employee recognition. We take pride in offering a competitive compensation program and spectrum of benefits that assist employees in meeting the challenges of 21st Century work-life balances.